There are many computer stores which are providing the services of laptop repair, but when it comes to MacBook repair, Apple repair stores are the most trusted ones. We are talking about it because there can be many scenarios where you will need to get your MacBook repaired. Here, we will discuss the most common repairs on Macbook. First, let’s dive into a brief history of the Apple’s MacBook. From May 2006 to February 2012, Apple manufactured a series of notebook computers which was known as the MacBook. Apple then relaunched it in 2015. MacBook targeted educational and consumer markets. MacBook enjoyed considerable success right from the start and in 2008, it was the best -selling laptop in theUS. MacBook competed with the likes of the powerful MacBook Pro and the ultra-portable MacBook Air. Combined, the MacBook brand is the world’s best-selling line of premium laptops. 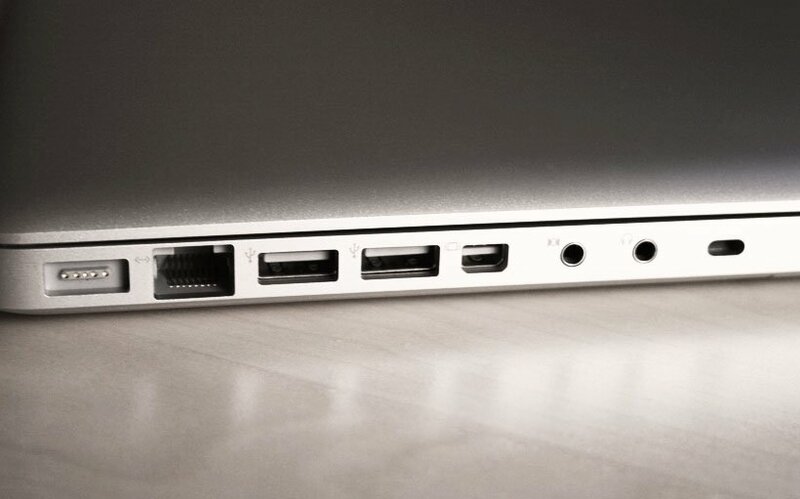 MacBook Air suppressed the MacBook in July 2011 because of its lower price tag. Then Apple decided to launch a new and redesigned MacBook in 2015. They made it available in different colors like gold, silver and space grey. It was also thinner than the MacBook Air and Apple hoped to attract more customers toward the version of their MacBook. They included attracting features like a Retina display, sixth-generation Intel Core M processor, and a better and longer battery. Apple has enjoyed great sales and profits from the MacBook since its first year of launch and now in 2017, when the global PC shipments are going down year-on-year, Apple’s MacBook sales are starting to suffer as well. But this does not overshadow the fact that the MacBook is one of the best product launched by Apple. So this was just an overview of the history and stats related to the MacBook. While we can talk the whole day about the great things of the Apple MacBook, there are many issues which are faced by the MacBook users. It includes many repairs that the users had to do for the MacBook because of a variety of reasons. Let’s first highlight the most common repairs that we will be talking about, then we will talk about them individually in more detail. So these are the most common repairs that many of the MacBook users often had to do. Now let’s talk about them in detail. The LED screen of the Apple’s MacBook can be damaged through a variety of ways. You might accidentally drop your MacBook which can lead to a broken screen. Some users have also experienced a fault in screens after some years of use. Some users also faced a faulty screen after spilling water on their laptop. So the age of the MacBook and water spilling can be some of the reasons leading to a faulty MacBook LED screen. As you cannot operate your MacBook with a broken or faulty screen, you are only left with one option,and that is to get the screen repaired or replaced. That’s why it is one of the most common repairs on MacBook. You can visit a nearby computer store or a MacBook repair store and get the LED replaced. You can even find nearby Apple repair store or Mac repair store by searching on Google and adding your location in the search. For example, if you live in Toronto, you can search Mac repair Toronto or MacBook repair Toronto, and you will get all stores related to laptop repair near you. Many online retail stores also have MacBook screens in their inventory, and you can buy them at cheaper rates than the market. 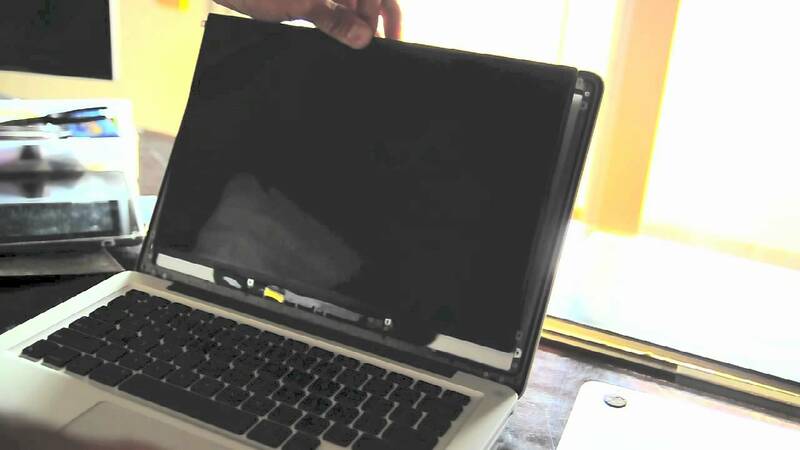 You will still need to take your laptop to a specialist technician to replace the screen. If your MacBook is under warranty, then we highly recommend you to take it to an Apple repair store because they are the best at what they do. Also, a local computer store might replace the screen with a low quality one, while an Apple repair store will not compromise on the quality of the screen. Another very common repair on MacBook is the repair or replacement of the battery. There are many reasons which can lead you to decide that you need to change the battery of your laptop. First and the most commonly observed scenario is where you start to experience poor battery life on your MacBook. It takes more time to charge and gives less usage time. Some users have also reported that they faced an issue where the laptop turns on and off repeatedly. It might be the result of a faulty battery. Also when your battery is affected, your MacBook won’t even turn on at all. So if you are facing any of the issues mentioned above, it’s time to get the battery of your MacBook repaired or replaced. Apple stated that their MacBook retain almost 80% of their charge capacity after it goes through 1000 charge cycles. It has been the case with the majority of their models since 2009. Apple considers a battery to be finally consumed after this period and at that time, you might start to experience all of the battery-related problems. You can always visit a Mac repair store or a local laptop repair store and get the battery of your MacBook replaced. 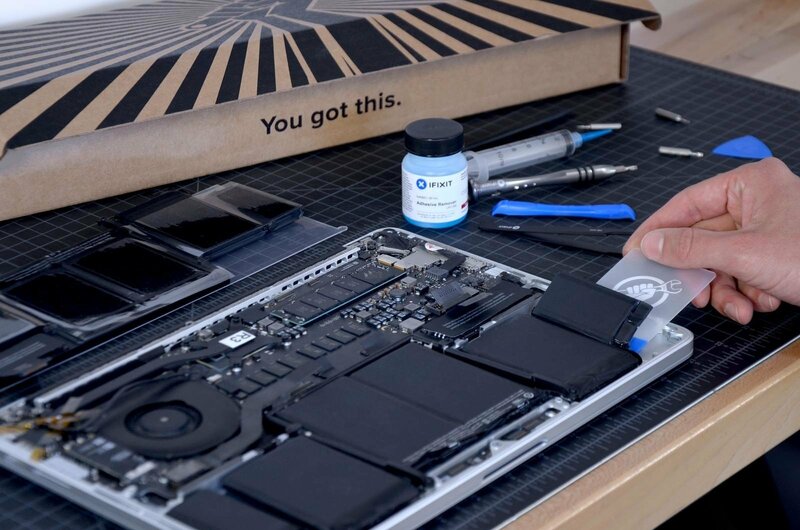 Apple repair store offers a battery replacement service for most of their MacBook models at a reasonable price.So that might be your best option when you decide to replace the battery. If the cursor of your MacBook is showing a mind of its own and not registering the clicks properly, there is a high possibility that the trackpad of your MacBook is damaged. A liquid spill or overheating might be the cause of this issue. The issue might not seem to be a drastic one at the start, and you will be able to adjust by clicking or pressing in a certain way. Over time, it can result in extensive damage to the trackpad, and it can completely stop working. You have another option of using a USB mouse, but you can easily get the trackpad repaired and replaced. You can contact the Apple repair stores or a laptop repair store located near to your location. Following the example we mentioned before, you can search Computer Repair Toronto or MacBook repair Toronto on Google, and you will be able to access all the laptop repair stores in Toronto. If your MacBook is under warranty, and you accidentally damage the trackpad, you will void the warranty if you decide to get it replaced from a local computer store. As overheating and liquid spilling can damage the trackpad of your MacBook, it can also damage the keyboard as well. Also, if you are a fast typist and ram the keys of the keyboard too hard, it can lead to extensive damage to your MacBook’s keyboard. Initially, only a few keys might stop working, and after some time, you may face a scenario when the whole keyboard does not work. Again, you can use a USB keyboard, but with the reasonable prices offered by Apple repair stores for the replacement of your laptop’s keyboard, it is a better option. Prices of the MacBook keyboard may range from $150 to $250, and it mostly depends on the model of the MacBook and availability of the keyboard. The prices can also vary if you decide to get your MacBook keyboard repaired from local laptop repair stores instead of a Mac repair store. Many users of old models of MacBook pro started to face various issues with the MacBook which included: slowness of the laptop, blue screen at the start, and another major concern faced by users was when their laptop turns on, and you see a blank screen. In this scenario, the laptop will turn on, you will see the LED lights turned on and the cooler fan working, but nothing appears on the screen. All of these issues can be caused due to a faulty RAM stick. RAM plays an important role in many laptop’s functions, and as a result of a failing RAM, you can face many problems in the functionality of your laptop. You can try to take out the RAM and putting it back and test if the issue is resolved, but if the issue persists, you will need to get the RAM replaced. There might be two or more RAM sticks installed in your laptop so you can also try to remove one and see if the problems are solved or not. 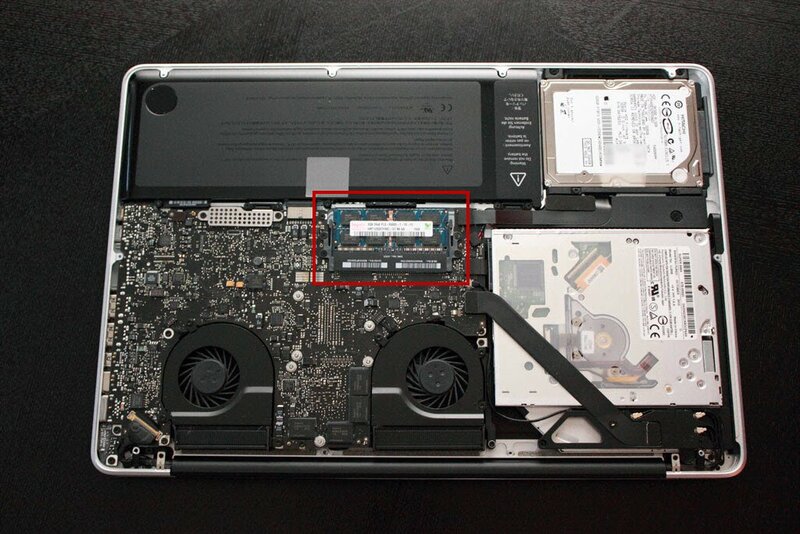 If you manage to find out the faulty RAM stick and take it out, you will be left with less memory in your MacBook. So in either case, you will need to get your RAM replaced. It can cost you around $80 for 8GB of RAM, and $150 for 16GB. You can easily get it replaced by an Apple repair store. If you are noticing overheating of your MacBook on a regular basis, then there might be some issues with the cooling fan of your MacBook. You might also be hearing annoying sounds coming from the cooling fan, which is also an indicator that it should be repaired or replaced. Extensive use of the laptop, playing heavy graphics games and running multiple programs at the same time might be some of the reasons for the faulty cooling fan. Many tutorials are available online which can guide you how to change the cooling fan yourself, but we would recommend you to take your laptop to a Mac repair store and let the professionals do the job. 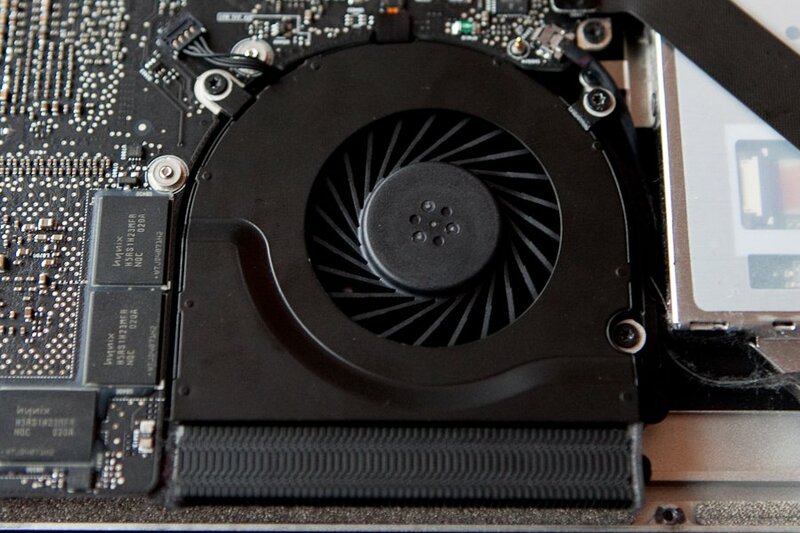 Especially if your MacBook is under warranty, you should not take the risk of changing the cooler fan yourself as you might end up voiding the warranty of your MacBook. 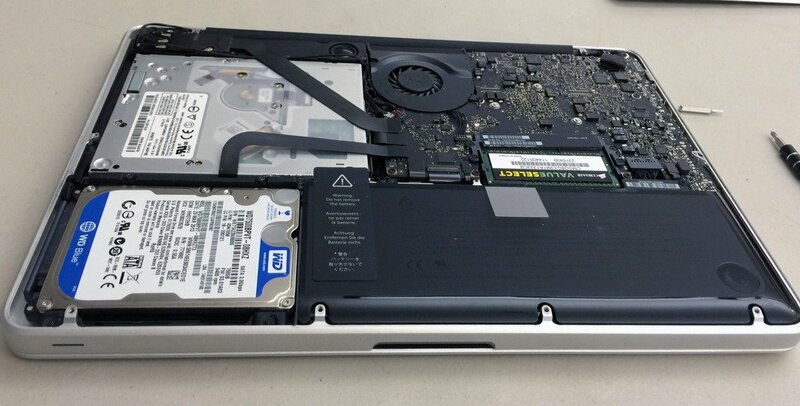 Another very common repair on MacBook is the repair and replacement of its hard disk drive. There are many symptoms of your MacBook’s hard disk drive failure. Some of them include frequent program crashes, repeated disk errors, repeated error messages while running software, strange noises coming from the drive, delays when using the system and the drive no longer recognized by the system. These issues might seem of no such importance at the start, but if you don’t decide to get it fixed in time, it can lead to serious consequences like loss of your important data. 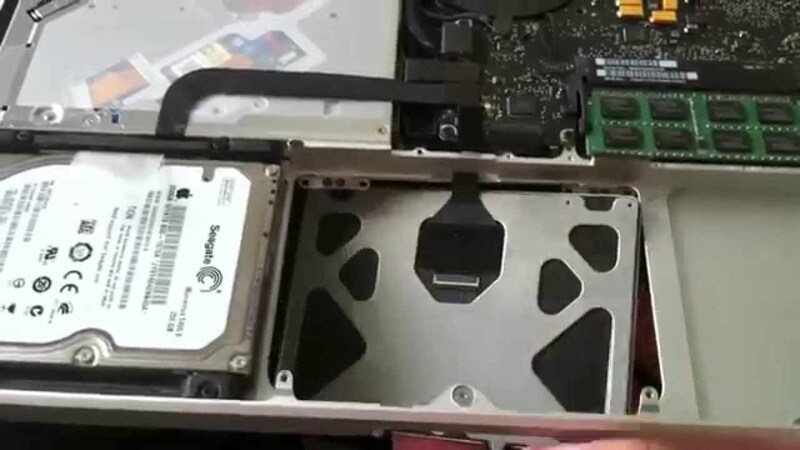 You can find the very reasonable price of MacBook hard disk drives on various online retail stores like Amazon, but if you don’t want to compromise on the quality of the hard drive, you should contact Apple repair stores near you. They will not compromise on the quality of the hard drive. 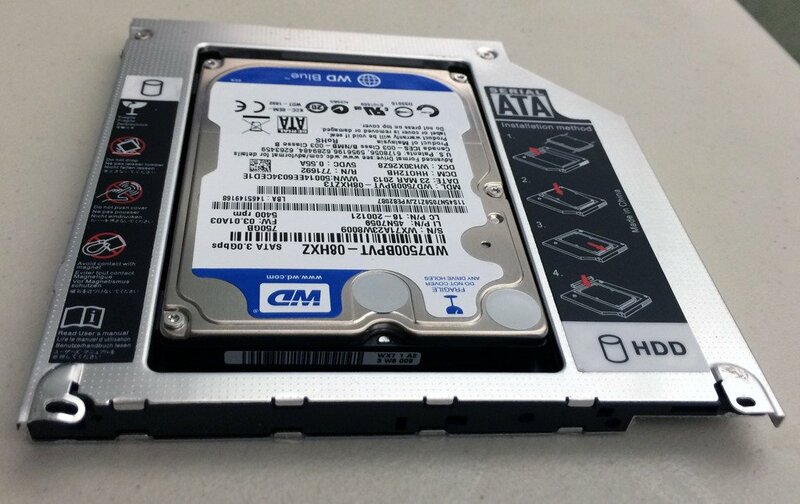 We also recommend you to take the option of replacing your hard disk drive from Apple because when it comes to important data, you should not take any risk. While Apple’s MacBook is not known for letting their customers down when it comes to the quality of their products, some users reported having USB ports on their MacBook not working. While you might try different ways to get the USB drive to work by restarting your laptop, plugging in and out the USB drive but if the issue persists, you will need to get the USB port of your MacBook repaired from a MacBook repair store. While this issue was not reported by users at the early life stage of the MacBook, but now as it is growing old over the passage of time, many users are facing this issue as transferring data through USB drives is important for them. As your MacBook gets old, another very common repair that you might have to do is on its DVD drive. The lens of the DVD drive might get broken which can lead to poor performance of the DVD drive. You can always buy and replace the DVD drive yourself, but since Apple repair store is providing this service at reasonable prices, visiting their store and getting it fixed from them is surely a better option. There are some other repairs as well which a MacBook user might face, but these were the most common repairs on MacBook.